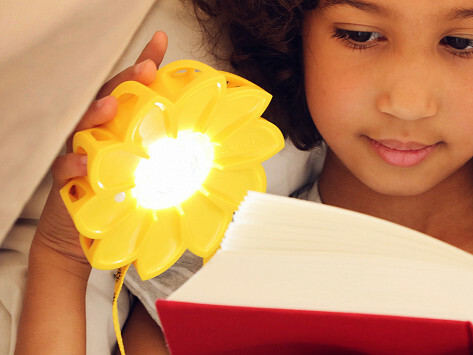 Designed by an artist and an engineer, this solar powered light harnesses the sun to brighten up any space—and offers power to those without it around the world. Enjoy up to 50 hours of light with a compact design that’s great for camping, festivals and more. Plus, for every light sold, the same exact one is offered at a fair, locally-affordable price to someone in an underserved area. Dimensions: 4.7'' diameter x 1.14"
Given as gifts still need another for me.. I order for me and then someone wants it... and they are loved.. This was a gift to an avid bike rider...she loved it...waiting to hear what she thinks after she uses it! 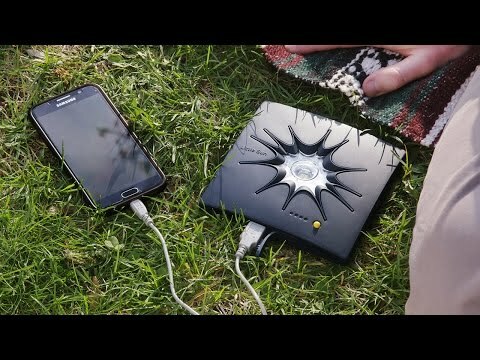 Take one of these compact, feel-good devices camping, on beach trips, to concerts . . . or bring light indoors. Wherever you’re enjoying it, you’ll feel good knowing you’re shining opportunity on others throughout the world.